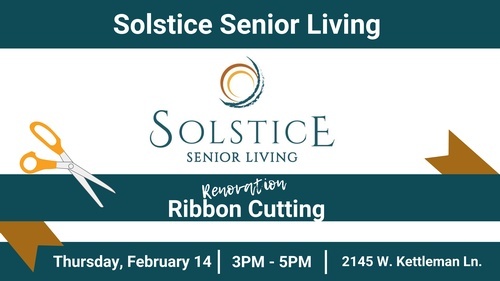 Solstice Senior Living has been RENOVATED! Let's celebrate their unveiling with a Ribbon Cutting ceremony on Thursday, February 14 from 3PM - 5PM (just in time to make it to your Valentine's Day reservations, so bring your dates! ).